On Saturday, October 20, a beautiful autumn afternoon, the UBC Chinese Poetry Society (UCPS) had their third gathering at the Asian Center. This gathering is for members and poetry lovers to share their poetic appreciation of the beauty of Vancouver, especially UBC Campus. 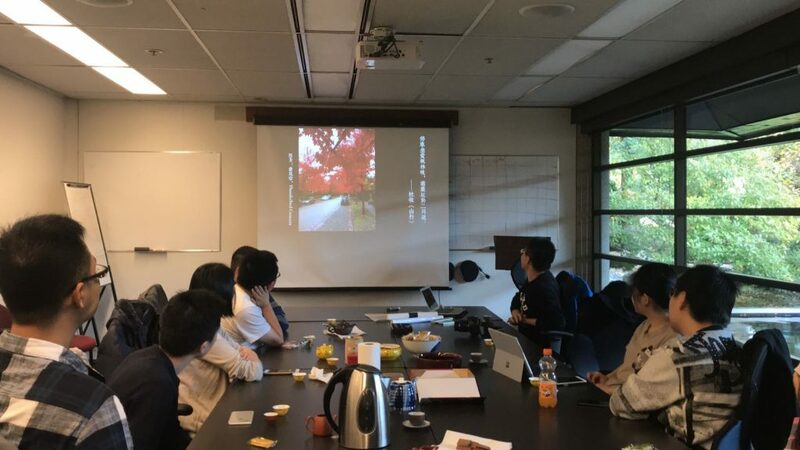 Students from UBC Chinese Language Program 450+ courses and poetry lovers from Vancouver area shared amazing landscape photos that they captured. The photos featured perfectly matched lines of a Chinese classical poetry of their choice. Some participants even composed their own classical poem to describe the beautiful scenery. In a wonderful discussion, everyone shared their encounter of the landscape and the classical poem. Participants expressed the same feeling that poem exists in our everyday life, and in places around us. 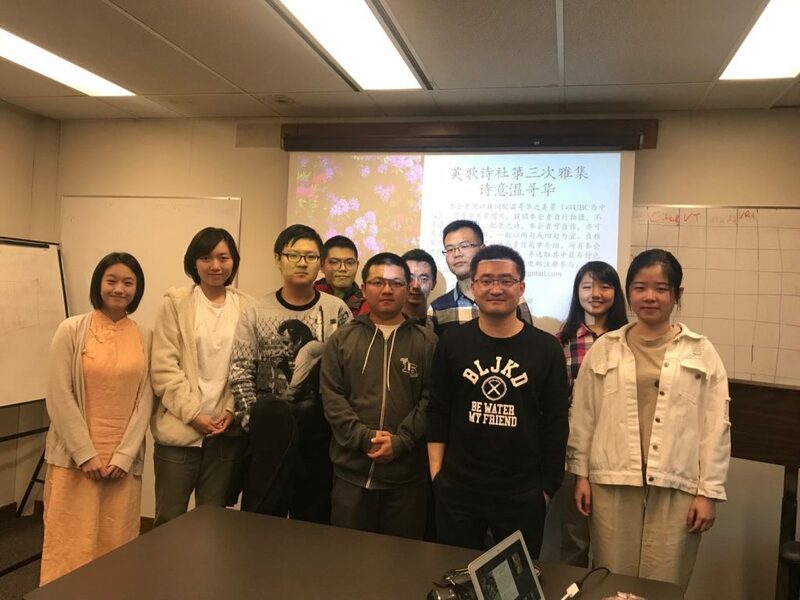 The event was so successful that everyone looked forward to more gatherings like this that they can share their love of the classical poem and the beauty of the nature.